NIIGATA INVESTMENT CASTING CO., LTD.
A cast pot combining the rust-resistant qualities of stainless, good thermal conductivity and good heat retaining properties. Particular attention was given to the air tightness of the lid and the body and high degree processing was performed for joint portions (mating surface). 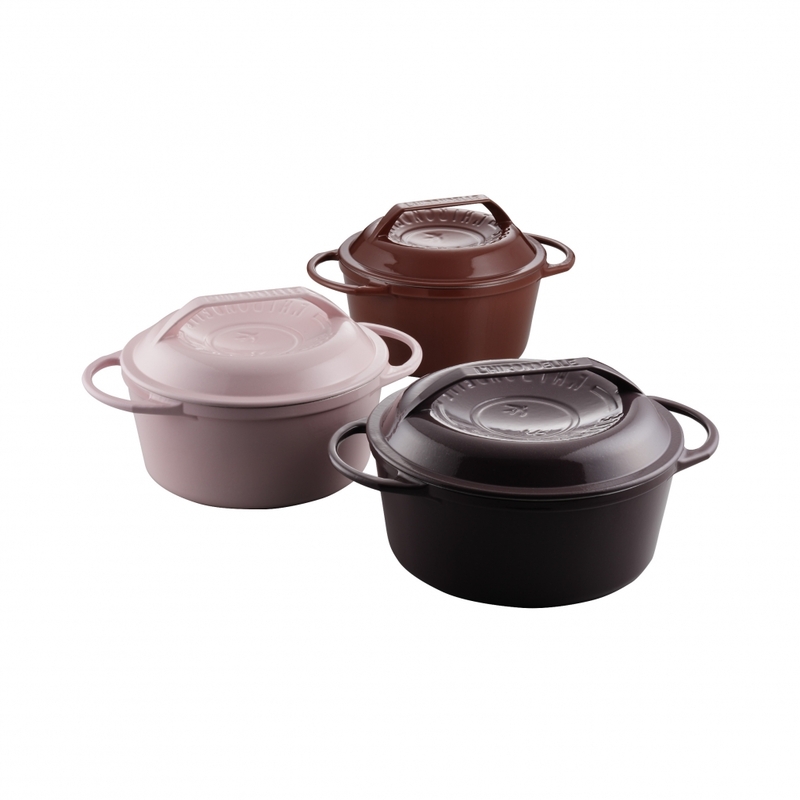 The characteristic of a pot with an inner surface in black is that pigments do not deposit easily even when stewing or cooking products having strong colors and that stains are less visible. The more it is used the more oil will get used to the irregular portions and as a result the ingredients will not stick to its surface. Can be used on direct fire, Induction Heating, halogen and in oven.